Portugal's Golden Visa scheme offering residency in exchange for non-EU investment in its real estate has become one of the cheapest in Europe, following a decision to reduce the minimum investment amount from €500,000 to €350,000. Only the Greek residency programme is cheaper but despite the lure of a full Greek passport as part of the deal, the country is fast losing popularity among wealthy investors due to its economic instability. The Portuguese Golden Visa Programme offers investors from outside the EU several alternatives to qualify for residency. A candidate can transfer an amount of €1m into a local Portuguese bank; create at least 10 local jobs in the country; invest €500,000 in the capitalisation of small or medium enterprises or €250,000 into a national heritage project or artistic production. 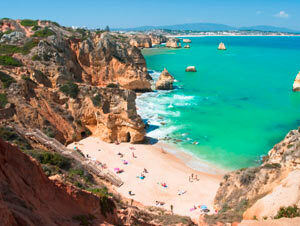 A recent report described Portugal's residency scheme as one of the best in the world. The country's location in Europe's Schengen zone makes it particularly attractive to non-EU buyers as it allows visa-free access to 25 countries. Additionally, investors are not taxed unless they sell a business property or real estate. Other attractive features of the scheme include better processing time than in other countries and more relaxed rules for bringing in spouses or dependents. Investors under the scheme are initially provided residency for two years which is then renewed twice for two-year increments. To qualify for renewals the investor is required to provide proof that they have resided in the country for at least seven days during their first year and at least fourteen days in each of the subsequent years. After six years of Portuguese residency, the investor becomes eligible for citizenship although there is a requirement of additional criteria including learning the Portuguese language. Portugal boasts an excellent reputation, with a very high Human Development Index ranking according to the UN and the country is considered one of the world's most globalised and peaceful nations with a great quality of life. It is among the oldest countries in Europe with a rich history, vibrant culture, stunning beaches and beautiful countryside. The tax burden on residents of Portugal is among the lowest both on corporate and personal levels and the country's compliance standards and due diligence are comparatively high. According to figures released by the Portuguese Immigration Service in February, as of 31st January 2015 more than €1.25bn had poured into the Golden Visa scheme since its inception in October 2012. This level of investment is very significant for Portugal and reflects the importance of the residency programme to its economy. Property acquisitions represent the majority of selected investments under the scheme, totalling more than €1.1bn at the end of January. Nevertheless there has been a significant increase in capital investments also, which have risen to almost €120m. Portugal's Golden Visa has performed very well and continues to be the top choice for foreign investors in Europe. The Portuguese Immigration Service has issued 2,100 residency permits for investors and over 3,100 to extended family members since the launch of the programme. Portugal's housing market continues to recover with property prices rising 1.81% during the first quarter of this year to an average price of €1,011/m2, based on figures released by Statistics Portugal (INE). Following more than three years of recession, house prices started to show the green shoots of recovery during 2014, despite Portugal's struggling economy.